Everyone loves a cuppa. So why not create your own mug collection of all your favourite people to keep you company even when they are not around? It’s the gift that just keeps on giving, every time you take a sip your favourite photo memory is there too. Our photo mugs are quick and simple to create and you can upload your photos direct from your phone or computer. We have a variety of layouts and designs to choose from so you can add your personality to each mug. You can add one or more photos and a message to make it more personal. 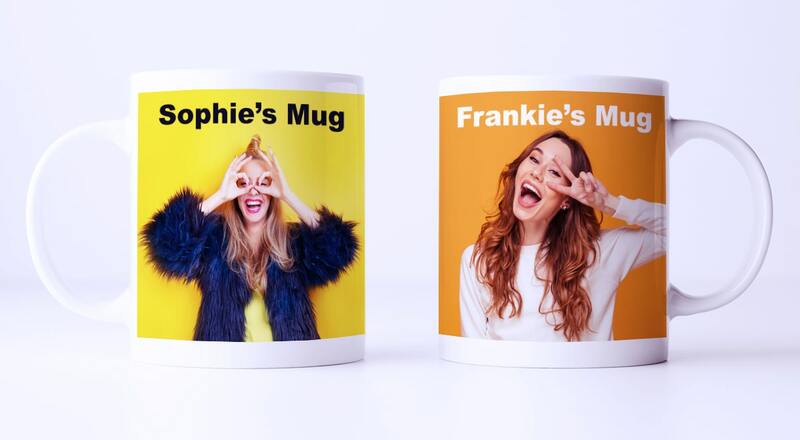 Impress your friends and family and create your own style of photo mugs with all your favourite photos and people, ready to bring out when they visit. Create a talking point with humorous photos and slogans on your mugs for your own amusement and to give as memorable presents. Have fun selecting from those many selfie shots you have taken throughout the year and start creating your custom mug now. Wake up to your favourite person each morning and get the day started with a smile. Personalised mugs make practical gifts that everyone will use and love.